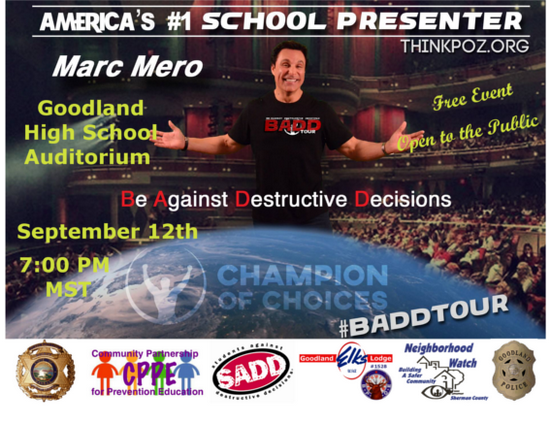 Make plans to join us next Tuesday for the "BADD Tour" from the America’s # 1 School Presenter! Marc Mero’s compelling message evokes personal reflection, laughter and tears – and most importantly personal transformation as he presents the topics of bullying, peer pressure, substance abuse and suicide prevention. People are reached at a “heart-level” and are inspired to treat themselves and others with respect, dream big, achieve goals, and cherish relationships. 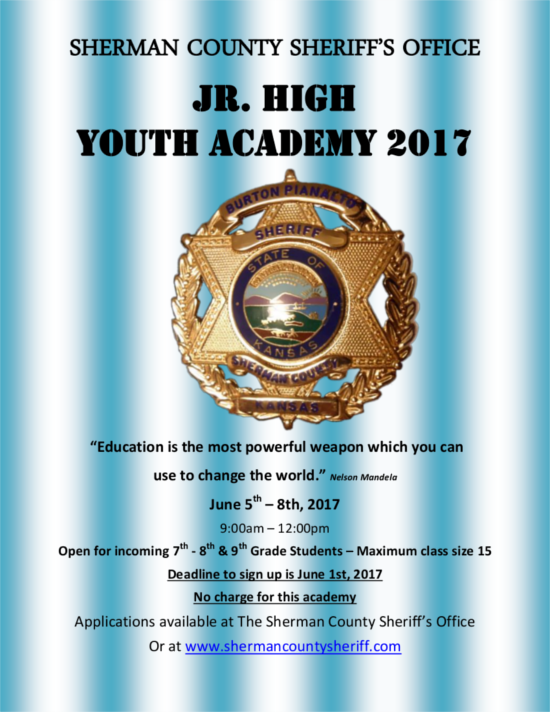 Sherman County Sheriff Burton Pianalto wants to remind everyone that our Children are heading back to school this week. 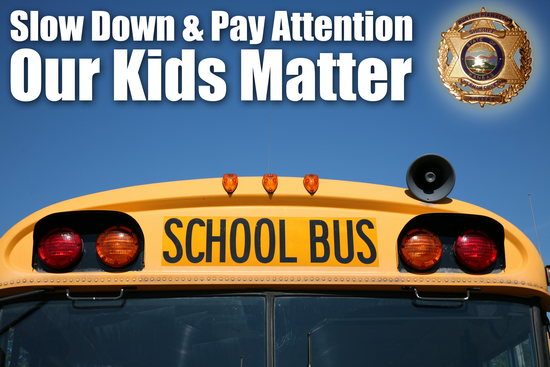 The Sheriff’s Deputies and I will be out at the schools enforcing school zones and talking with the children. We want this school year to be as safe as possible so I would like share some safety tips. As drivers please be aware of the children crossing the streets, whether they are walking to school or riding their bikes. The school busses will be on the roadways once again making frequent stops, just a reminder, it is illegal to pass a school bus stopped to load or unload children. If the stop sign is out it means that traffic must stop both directions. Please do not double park when dropping off children because it blocks visibility for other children and vehicles. Don’t load or unload children across the street from the school unless you walk them across. If you do walk them across, this is a great opportunity to teach your children to only cross at the cross walks and to look left, then right, then left again before crossing. Sheriff Burton Pianalto encourages the children to not be in a hurry. Do not cross the street until all cars come to a complete stop and eye contact with the driver has been made. Use the sidewalks if they are available on your path to school. Let have fun and stay safe! The Goodland Elks Lodge 1528 honored our Law Men and Women at their Spring Fling Dinner and Dance celebration on Saturday, February 27, 2016. Sheriff Burton Pianalto was awarded the “Elks Officer of the Year” Award, from the Goodland Elks on Saturday, February 27, 2016. Burton was presented a plaque during the Law Enforcement Appreciation Dinner. Congratulations Burton, for an award that is well deserved! The Elks Lodge also awarded the “Elks Distinguished Citizen of the Year” Award to Dawn Jolly, Genesis and Salvation Army County Coordinator. She is very deserving of this award for all of her hard work and dedication to helping others. 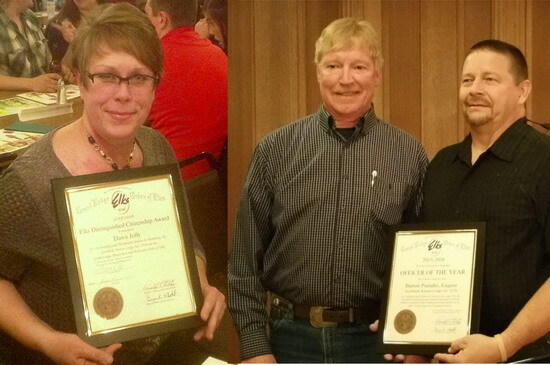 Thank you to the Goodland Elks Lodge for all that they do for our community as well!